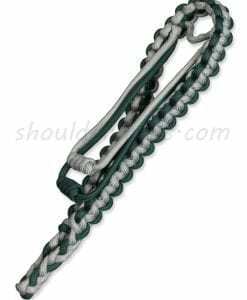 2½ break in braid at top of shoulder . 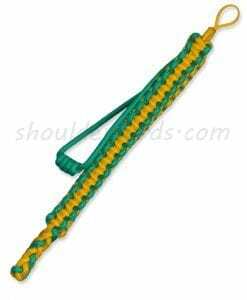 Standard length is 30 inches. 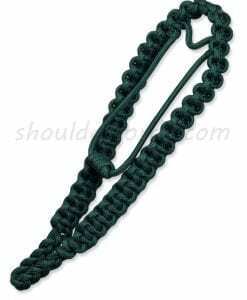 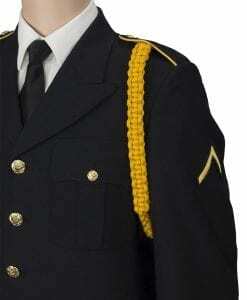 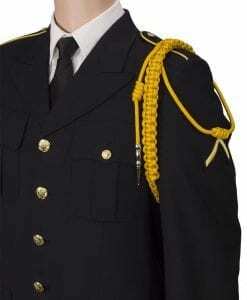 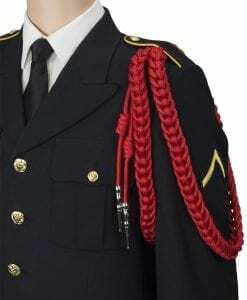 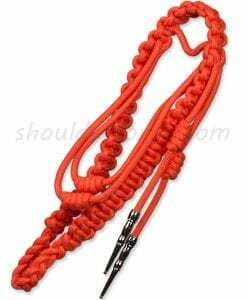 Attaches to uniform with a button loop. 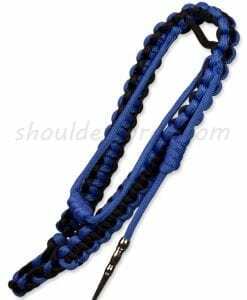 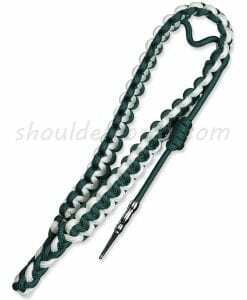 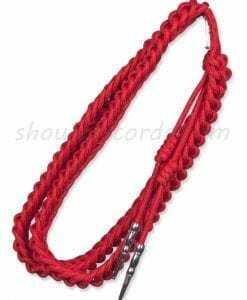 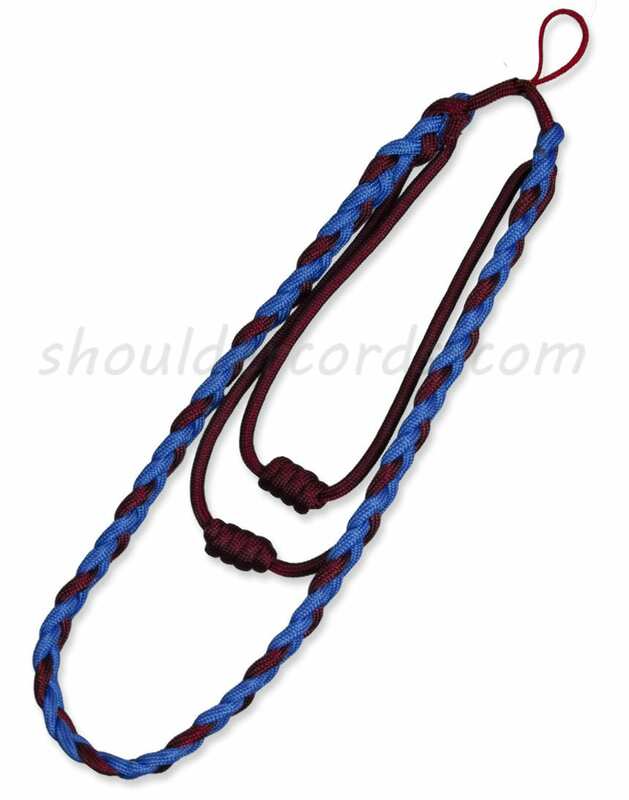 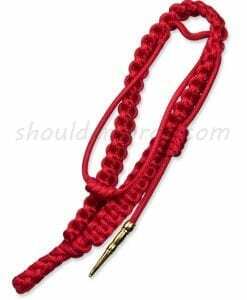 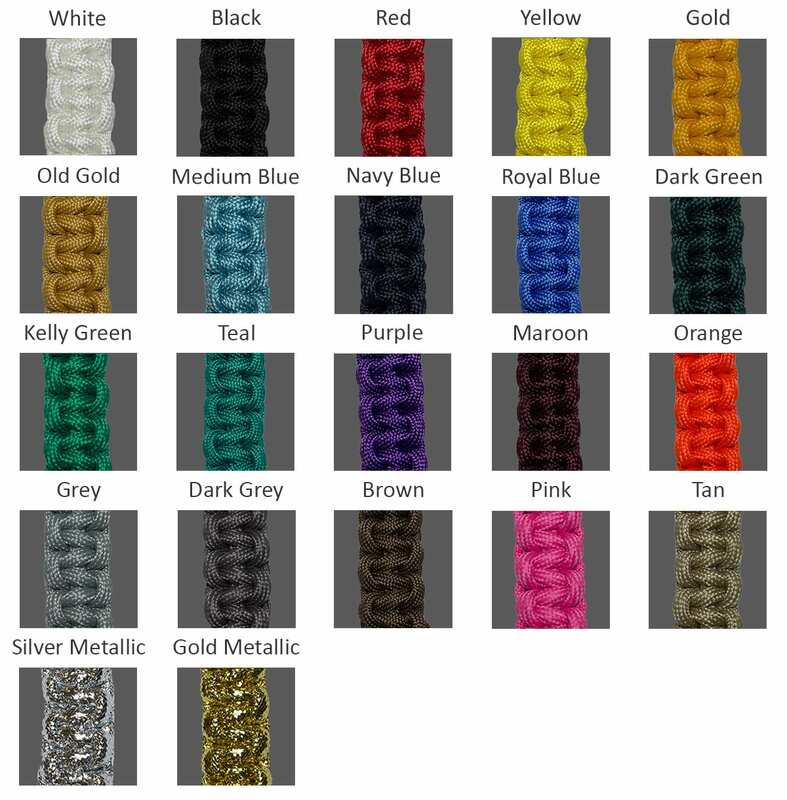 One color box braid shoulder cord with a knotted strand and tip drop.